Sometimes it’s good to remember where one has come from, especially in any sort of creative journey. I first heard about cosplay in 2005, but wasn’t able to get around to for years. 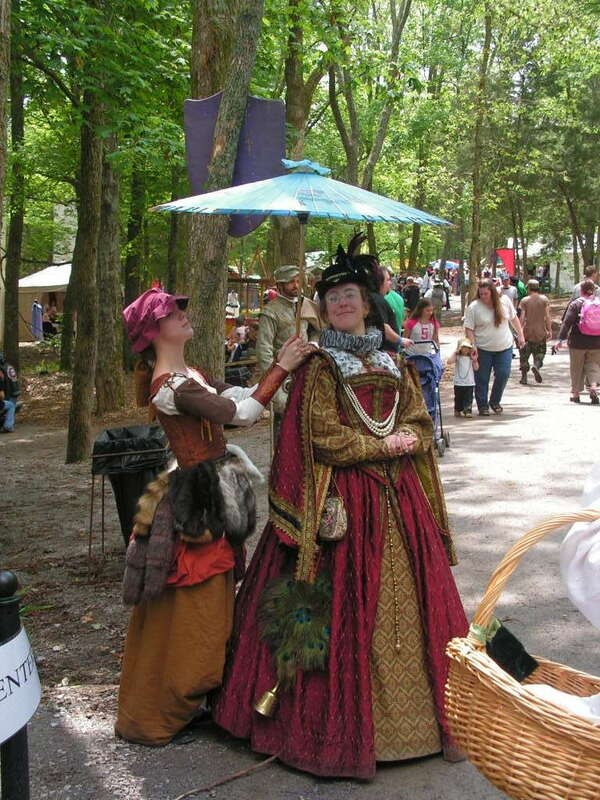 But I was heavily interested in costuming and had my first opportunity to try it as a cast member at the Tennessee Renaissance Festival in 2007. 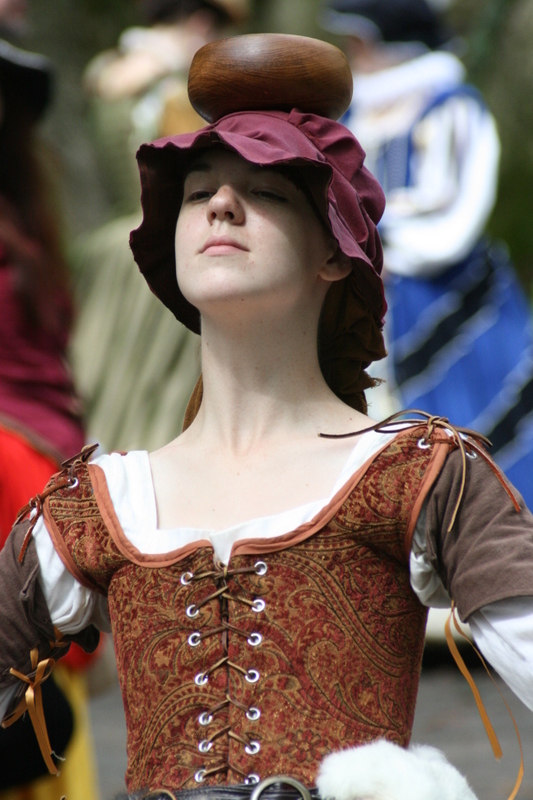 It was my first time doing any sort of improv acting, costume designing, or live theater. 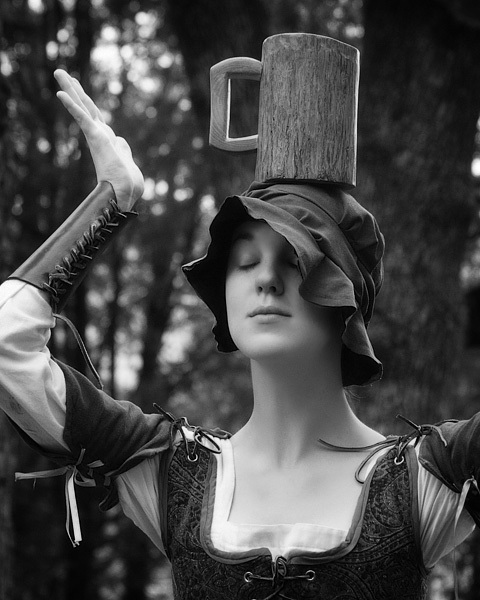 I was cast as a peasant, so lowest ranking member on the English Elizabethan hierarchy. But I was okay with that, as the lower-end peasants had to be alot more physically fit to keep up with all the groveling. (In fact, we would actually make a game out of it to see who could get lower in front of the Queen and nobility. 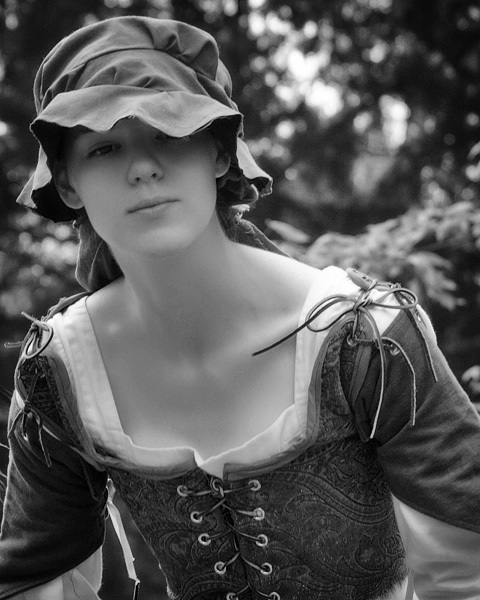 I may have dug myself into the dirt once…) As it went with the peasants of cast, we had an occupation and then what we really did. By occupation, I was the town skinner and tanner. But in truth, I was the town pick-pocket. 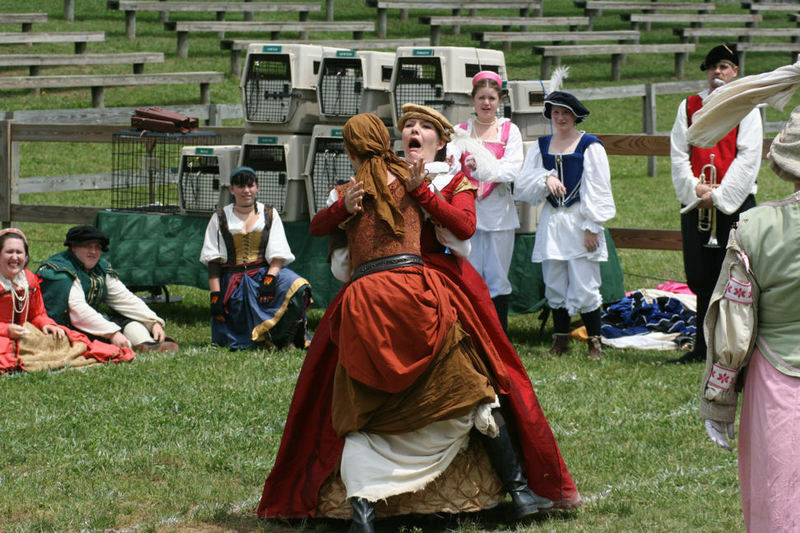 This ended up working out beautifully as I had designed my costume to have furs and pelts (just tails really) hanging off of my belt, but it upset quite a few kids, so I ditched the belt and went full force into my role as pickpocket. 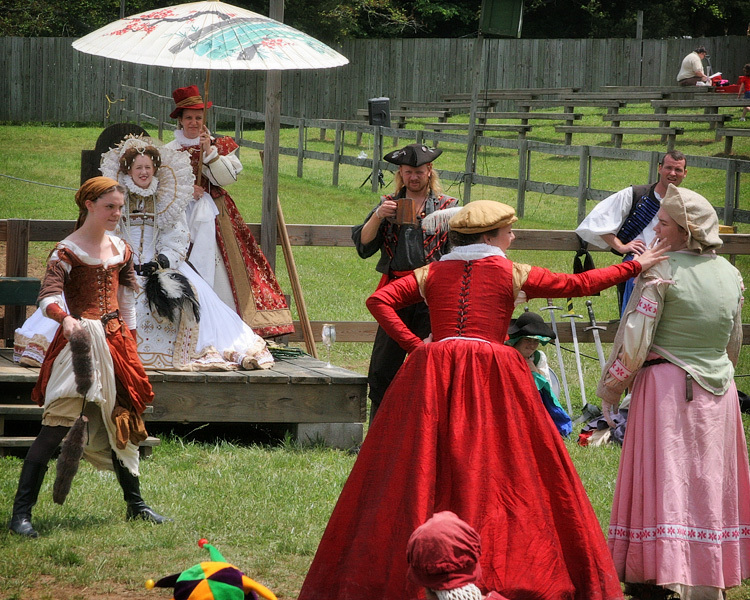 I would plot with one of the noblewomen backstage that I was going to steal their jewels when they were in the lanes. 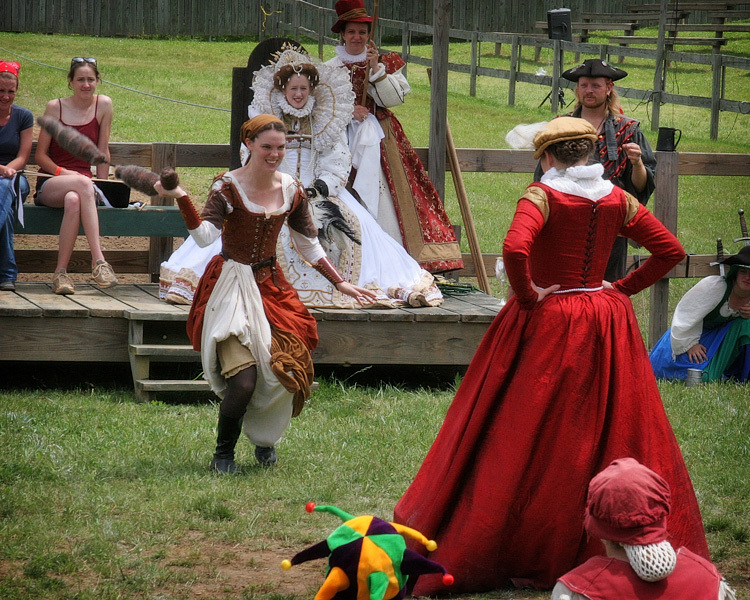 Then we’d part ways and as the noblewoman would have an audience that she’d be entertaining, I’d sneak my way behind her (but always where the audience could see). She’d carry on as if nothing was amiss, meanwhile the audience would be shouting for her to turn around or that something was about to happen. Apparently that character was such a hit, I had people remembering me when I worked at a local Starbucks three years later! 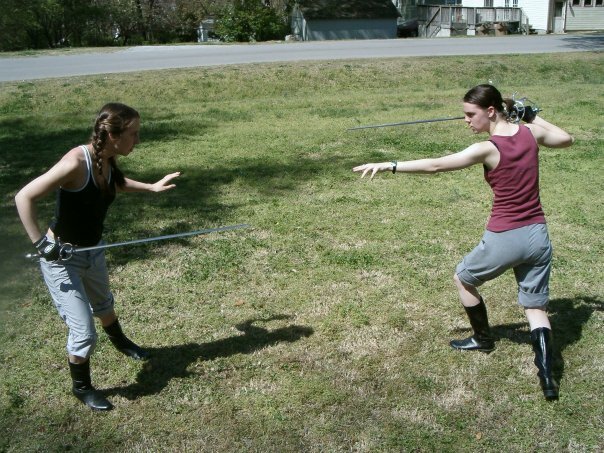 I even got to try my hand at SAFD (Society of American Fight Directors) combat with rapier, whip, and props. Being part of the ‘human chess match’ was, by far, my favourite activity of the entire festival. 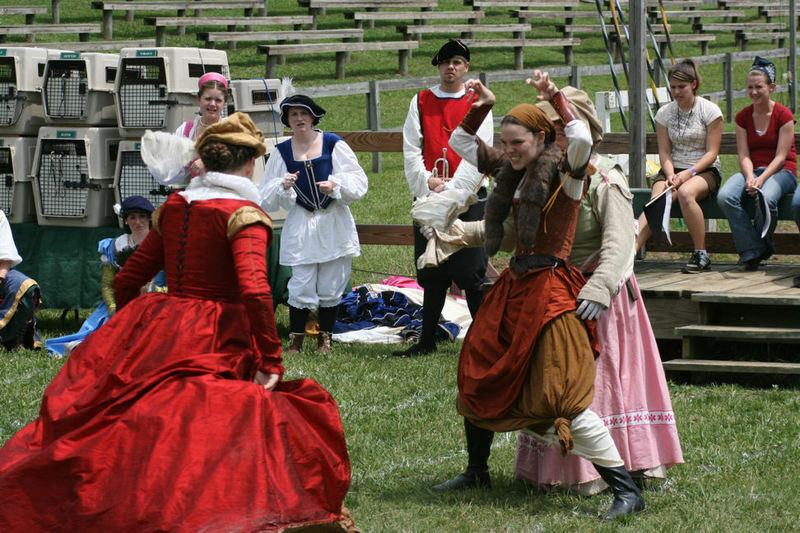 For months beforehand each of the fighters would train in combat and stage choreography. (So all those movie swashbuckling moves? I may know a few of those. 😉 ). I have the main moves so firmly subplanted into my subconscious that I can still teach it to someone else 8 years later. Shows a little of how much I loved it! Alas, in the end, I didn’t get to fight with the pretty swords. 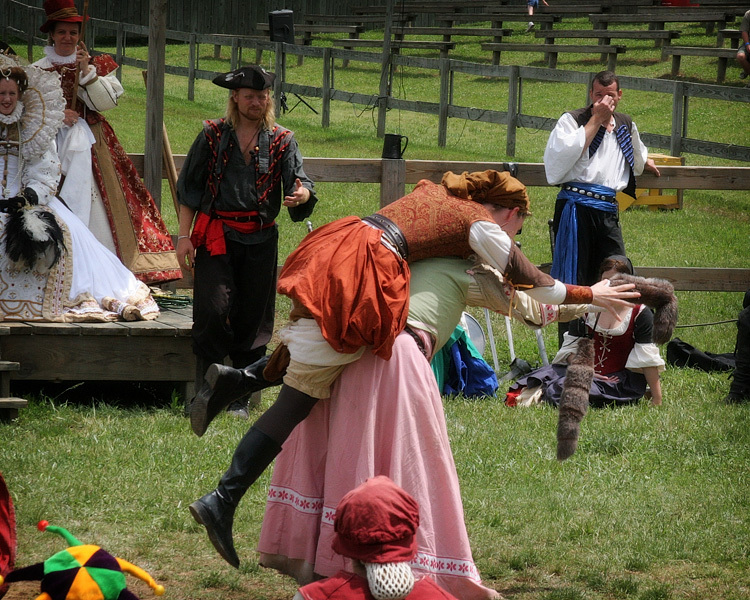 I was part of the peasant prop fight with a weapon that was none other than squirrel-chucks. Between that, the sack-of-cats gag we did, and general humour of the skit, I’m STILL hearing from people that remember that fight. 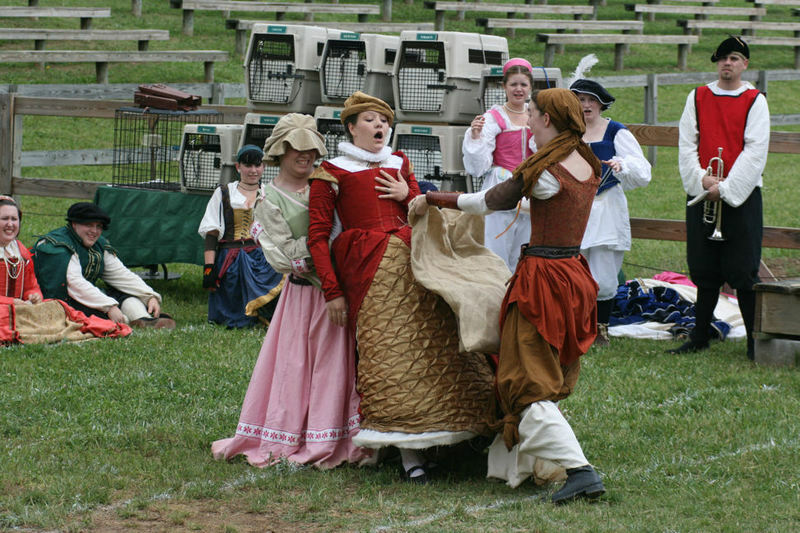 Stay tuned for 2011’s TNRF costume – French Countess Elaine de Francias!